We arrived in Fort Collins at 5 AM after two days and two nights of driving. Here we were staying at alum Xavier Engle’s house. After some confusion with his roommate (who apparently almost shot us), we crashed for the night and woke up ready to paddle. 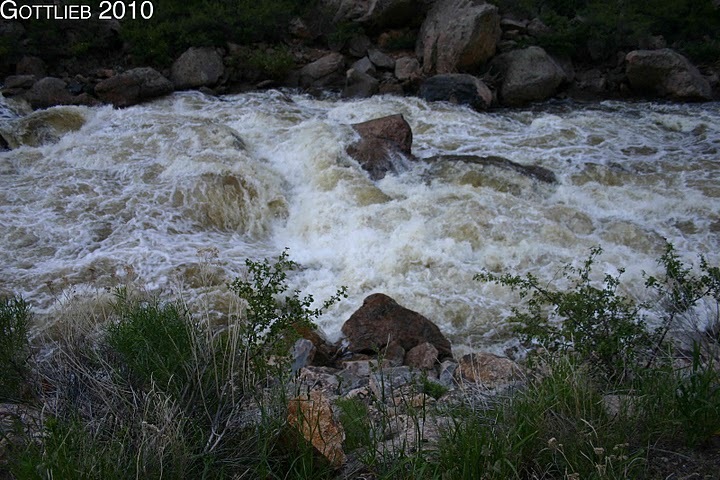 Xavier took us out to their local bread and butter run the Poudre at 4.5 feet that afternoon where we lapped the narrows and ran through the marathon stretch. This was stomping high and it was fun to be back on some technical big water after scraping down rocks during the New England creeking season. 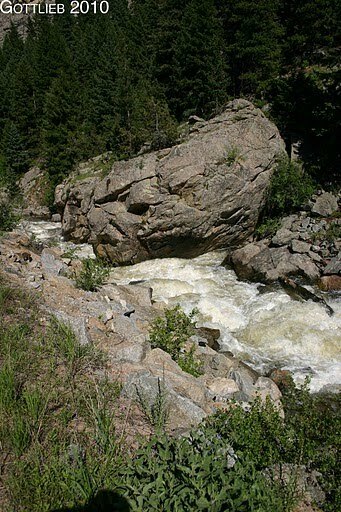 The next day we woke up and rallied early to run Joe Right and Spencer Heights, two sections of the Poudre further upstream which have a creekier feel, are more technical and slightly more demanding than the lower runs. check out his full report at Poudre Rock Report. 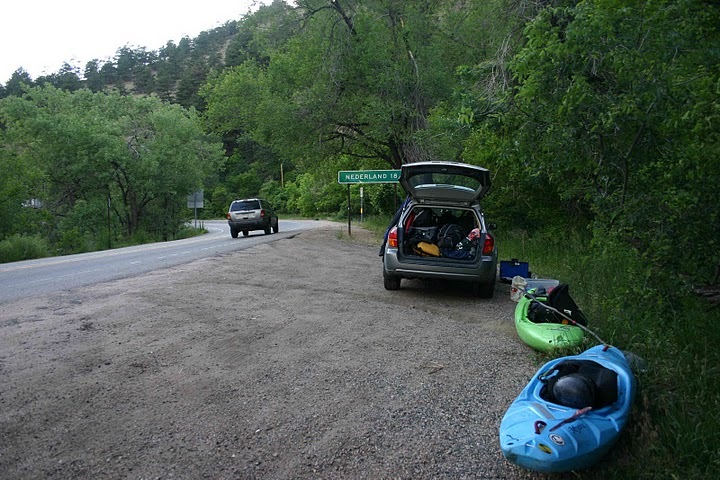 From there we drove to Idaho Springs where we stayed with our boy Brandon Gonski and his fellow raft guides at the Surf Shack. After a fun night out, we enjoyed a mellow day in true raft guide fashion, played some Frisbee golf, then ran Black Rock canyon in the evening with Chris. This was a fun, continuous big-water class 4 section with a few 5’s mixed in. We stayed another night with the crew at the Surf Shack, then headed back towards Boulder for some front range creeks that were apparently going off. 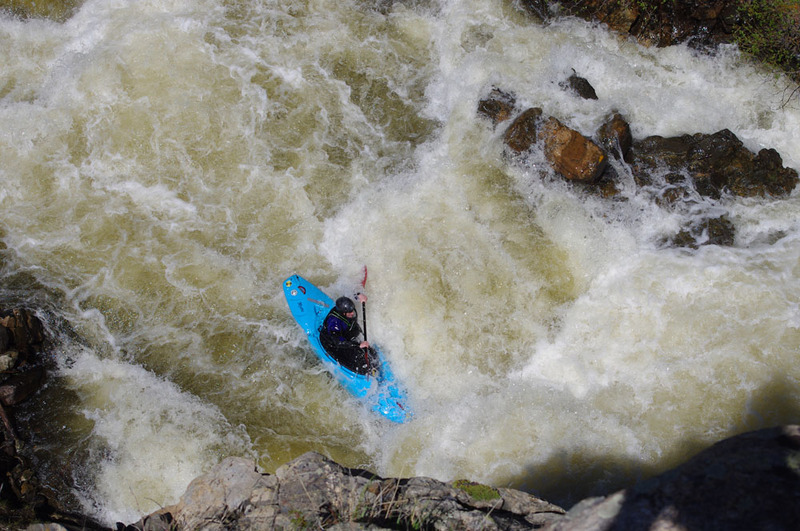 We stopped and scouted high water Eldo on our way up, and decided it was a pile of mank that definitely goes, but would most likely leave you with a broken boat and a bruised tailbone. Props to some local folks who ran this as part of the Sick Bird Loop the next day, a challenge which involves 5-11 B trad climbing, biking over a pass, then running South Boulder Creek all the way through Eldo all in a day. We opted for the mellower Boulder Creek, but put in a few miles above the normal run for more exitement and a few bigger drops. Bombing through this run was awesome, we only caught a few eddies in the upper section above horizons that looked like they might land on rocks. It was a nice change of pace after all the pushy technical big water we’d been running. At the takeout we met up with Ellen and Laura, two other Ledyardites who had just arrived in CO on their way to Fibark. We had a little gypsy party on a dirt pullout across from the takeout where we fired up the grill and made dinner. At this point we were truly getting into the swing of the dirtbag lifestyle. 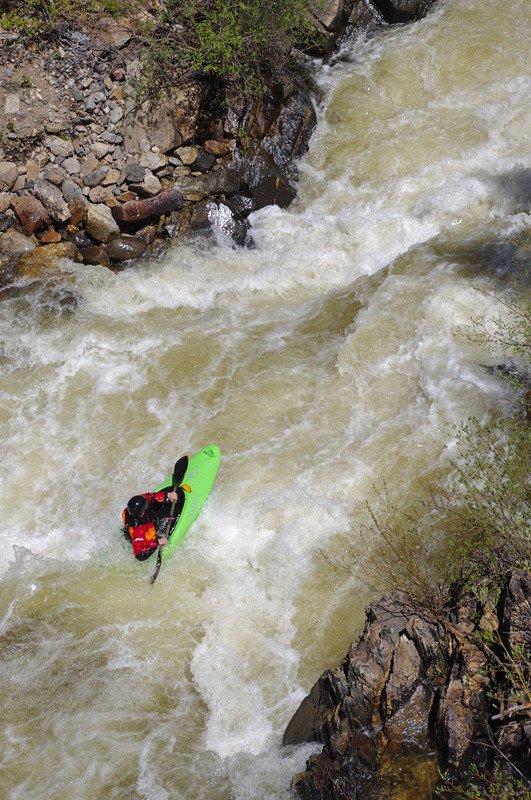 We spent the night at ’08 Clara’s house and woke up early to drive to Lyons where we met up with Xavier and a crew of Front-range paddlers to run the North Saint Vrain. After driving along a hiking trail to the put-in, there was a 45 minute trek to the river which avoided an upstream portagefest and got us straight to the goods. After an eventful lead-in, things began going smoothly once we got to the meat of the run. This run is fairly short and the crux is a half-mile long stacked boulder garden. Another steep 45-minute hike out boats loaded with wet gear was just what we needed for a little bit of “Cali Training.” From here the plan was to either head to Fibark for the night or run Gore Canyon at high water then hit Crested Butte and OBJ, but we were all pretty beat and decided to rest up for the next day. 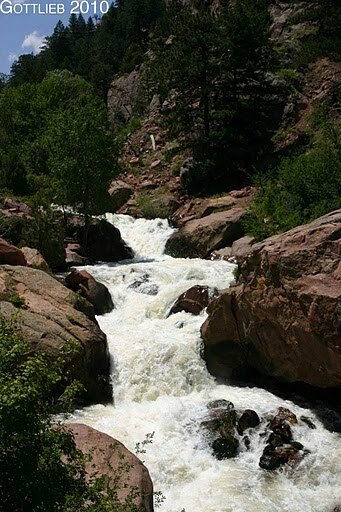 Luckily for us, we heard Yule Creek was running on the high side of good. Yule is one of those runs that has been a long-term goal for me, something I’d set my sights on ever since the days I was a little webelo paddler, watching kayaking videos until the VCR ate the tape. With this gem in sight, Nick, Xav and I made the trek to Glenwood where we spent the night and met up with Ben Luck.